London Live is now testing on satellite ahead of its launch on the 31st March on Freeview, Sky and Virgin across the Capital. Test transmissions commenced on Freeview channel 8 from London's Crystal Palace transmitter at the beginning of the month. Now viewers with a Sky box can tune into test transmissions via the 'add other channels' function. The service is broadcast as "free to view" rather than "free to air". This means that the channel is encrypted but available to view for free with a Sky box and a valid viewing card. Free to view channels cannot be received on Freesat receivers, which can only receive "free to air" channels. Citing rights issues, the channel will not be broadcast free to air for Freesat viewers to avoid any signal overspilling outside of the UK. It is expected that London Live will be added to Sky channel 117 on the 31st March in London only. Frequency 12610 V, Symbol Rate: 22000, FEC: 5/6. Service: "50892"
The Sky tests are different from those on Freeview which contain a test loop of trails and promotions. London Live On Freeview And Sky But No Freesat? Since this was published, London Live's test transmissions have been encrypted for all Sky subscribers. It's going to be added to Sky channel 117 today for viewers in London. So all those with Freesat cannot view it at all, that is not exactly catering to Londoners who cannot afford sky or choose not to pay for sky channels!! For those without pay TV, it's on Freeview channel 8. 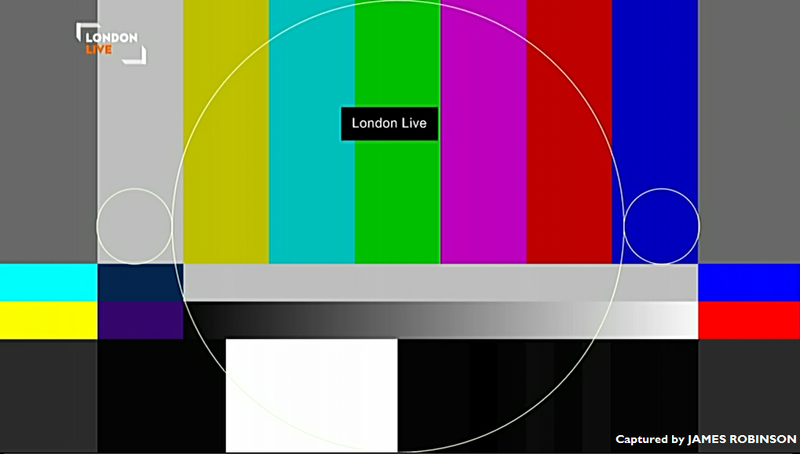 London Live cannot afford to pay for broadcast rights outside of the UK. Being on Freesat, the signal would overspill into the Republic of Ireland as well as the Netherlands, Belgium and Northern France.